Here�s the basics for some outdoor climbing fun! You learned the fundamentals inside and now�s the time to grab some rock with a friend using the security of top rope protection for every move. 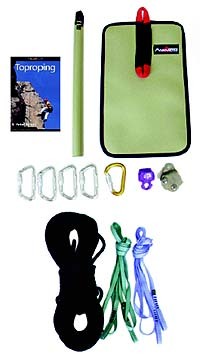 Petzl RESCUSCENDER allows you the option of solitary top roping - instructions included. Items subject to change / availability.